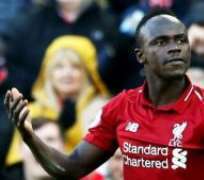 A fortnight ago, the Reds suffered a scare in their title chase after a 2-1 defeat to Pep Guardiola's men on January 3 that ended their unbeaten start to the season but Mohamed Salah's effort against Brighton on Saturday got them back on track. Five years ago, Liverpool came close to lifting the Premier League title but Steven Gerrard’s infamous slip cost them a 2-0 loss to Chelsea – a result that paved the way for City to be crowned league champions. Mane who has continued to be a trusted leg Jurgen Klopp’s set-up has contributed to his side's impressive league run with eight goals and an assist in 20 league matches. And he has sent out a message to their rivals as they aim for their first top-flight triumph in 29 years. “This is not a team of chokers. We will be champions,” Mane told the Sun . “I am sure we will be champions of England. When I wake up, I don't go to the training ground thinking we will not win. Jurgen Klopp's side sit at the summit of the English top-flight standings with 57 points from 22 matches – four points adrift of second-placed Manchester City. Liverpool will be looking to extend their dominance at top when they welcome Crystal Palace to Anfield on Saturday.